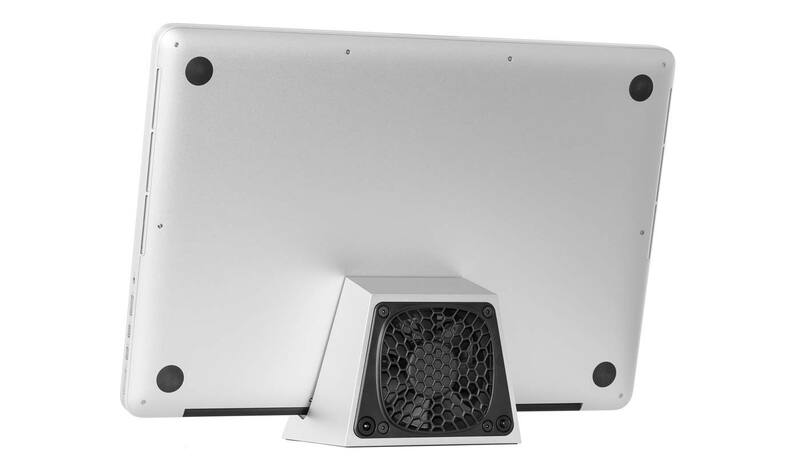 SVALT D2 recently released the upgraded MacBook dock which includes a cooling fan. The SVALT D2 dock is designed to keep a MacBook's temperature down when the computer's being used in the clamshell mode with an external monitor. 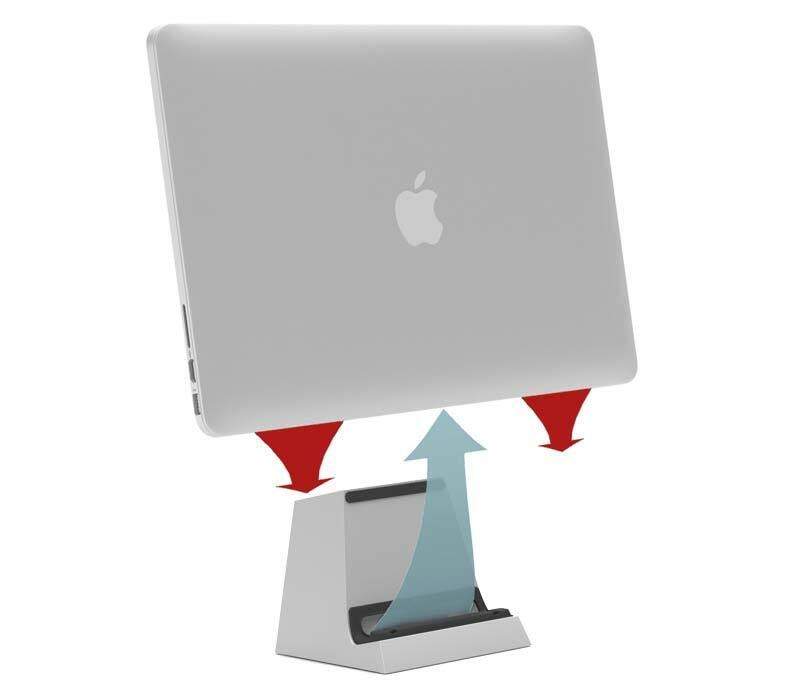 This feature prevents a heat meltdown when the Mac is in clamshell mode and is connected to an external monitor. With an MSRP of $295 it is a bit on the higher side but promises to turbo-charge the laptop and bring maximum productivity at the workplace. "A major gap has existed in the laptop performance accessory industry for some time now. Photographers, graphic designers and other professionals who require massive amounts of computing power to run rendering, editing, and design programs have been constrained by heat meltdowns that result in slow performance, among other issues. The SVALT D2 was created to not only provide a best-in-class solution for professionals but to create an elegant office furnishing. Precision-crafted from solid aluminum, the SVALT D2 is an object of substance, blurring the lines between the consumer electronics, art, and high-end furnishings markets." - Chad Kirkpatrick, President and Founder of SVALT. The SVALT D2's design is more than just an engineered solution. The dock is the first and only product of its kind that turbo charges laptop cooling systems to unleash peak performance potential. Built from a two-pound aluminum which acts as a heat sink, it houses a powerful desktop sized fan that drives cooling air directly onto laptop processors to turbo-charge the laptop's built-in cooling system. Let's dive a little deeper into the functionality of this hot cooling device! An external sensor measures laptop temperatures and automatically adjusts fan speeds from 0 to 3600 RPM over the course of the workday. The cooling system runs in auto mode by default, but at any time Turbo mode can be activated for an immediate blast of extra cooling power, or a number of advanced and customizable cooling modes can be selected for even more user control. An adjustable laptop retention pad helps to accommodate a wide range of compatible devices, such as clamshell laptops, convertible touch-screen laptops, tablets, devices with or without thin protective cases and offers the flexibility to support future models and devices. The pad design allows the laptop to stay docked during the power-on process to avoid accidental cable disconnection or a laptop drop. After using the SVALT D2 cooling deck for just over a week, I have noticed an increase in the speed of my macbook pro and a huge decrease in the fan noise. I am able to do my work considerably faster than before. If you're looking at preventing your macbook from throttling, this is a safe buy. While there's no modification required if you are using the SVALT D2 with your MacBook Pro retina; it will also work perfectly with the MacBook Air and RazorBlade laptops in clamshell mode configuration.